The finest Christmas Turkeys on offer. These turkeys are reared in limited numbers and traditionally matured for an excuisite flavour and firm texture. 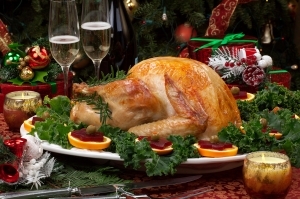 We are passionate about sourcing the countries finest, moist, most flavoursome Turkeys. 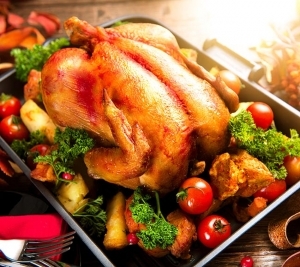 The bronze turkey is a breed which matures a little more slowly and has a slightly stronger, more pronounced flavour, not gamey, but is a world away from the tasteless mass produced offerings in many supermarkets. The white turkeys have a more delicate flavour and as a characteristic of the breed mature more quickly. The choice is yours as both are offer a superb eating experience. Turkey like it used to be!